Watching TV on the Internet is sometimes a need. Maybe because we're traveling and we don't have a TV at hand or because we want to watch stuff that isn't offered by our television provider. 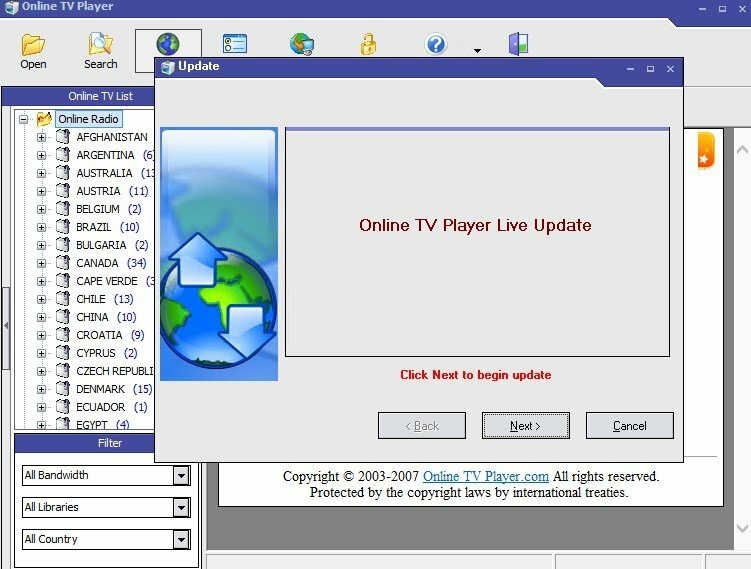 Thanks to Online TV Player you'll be able to watch almost 850 online TV channels and access thousands of radio stations on the Internet, so that you don't miss any program of your interest, regardless of the country or channel that broadcasts it. 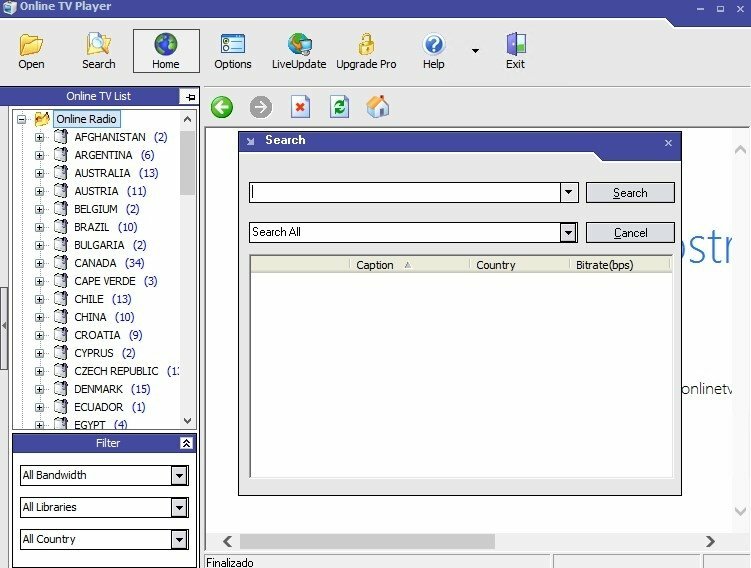 Both the radios and TVs are categorized by countries and we only have to choose one of them to access national, local or thematic channels specialized in sports, news, movies or general entertainment. Don't miss any Australian or British programs. 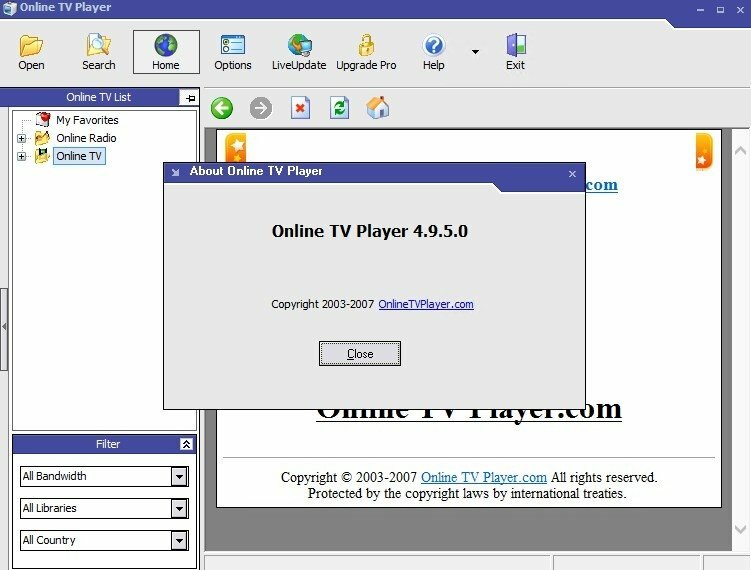 This application to watch the TV on our PC via the Internet doesn't come along with a built-in player, but it's compatible with programs like Windows Media Player or Real Player to show television contents. 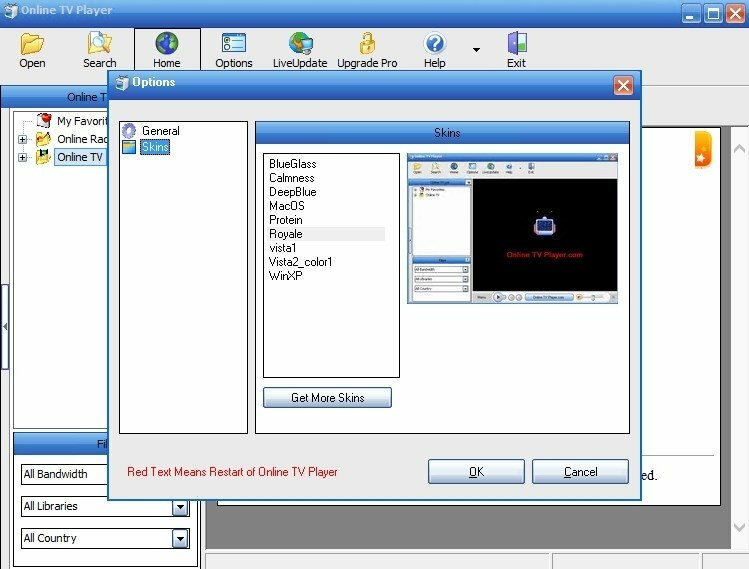 Among its most noteworthy features, we have to point out the possibility to use many different skins to customize the user interface, being able to give Online TV Player the aspect of almost any operating system, including Mac OS X. Requires Windows Media Player or Real Player. The application may be unstable and not work at all times.